Gluten free bread is easy enough. You need a mixing bowl, a crock pot and a tinfoil ring. Or, you can just buy it, at any regular grocery store. What you might miss, is special things like baguettes. Baguettes are easy enough, though. 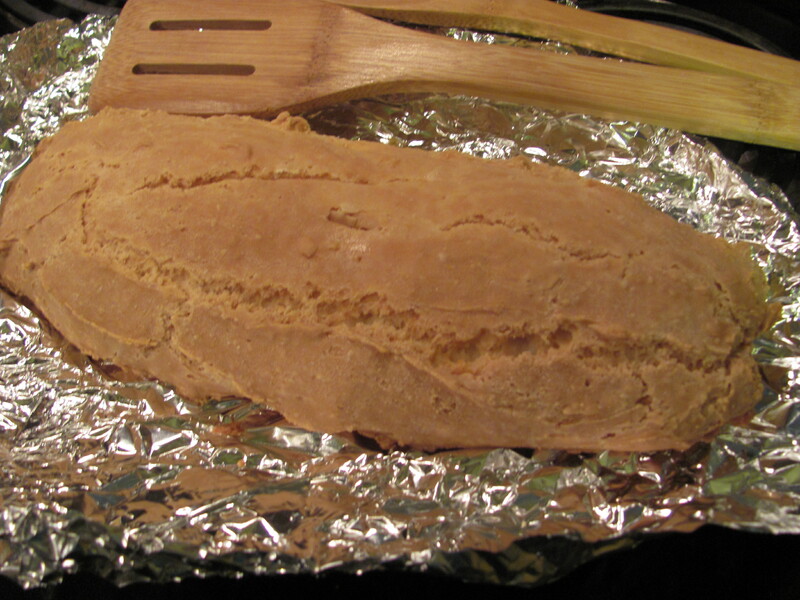 Gluten Free Pantry has a French Bread mix, that can be shaped into baguettes, and then baked in a steamy oven–put a pyrex bowl of water on the floor of the oven–to get an extra crisp crust. 1 tsp cider vinegar or white wine vinegar or honey vinegar, which is what I had in the house. Silpat–this is a reusable silicone sheet for baking. It will save you a mint in parchment paper. With a spoon, mix up the ingredients in a large bowl. (The directions say to use a stand mixer, but if you’re reasonably strong, you don’t need one for this recipe.) Once it’s mixed, let the dough rise on the counter, covered with plastic wrap or a tea towel, for at least forty minutes. If you really want a fermented, french bread taste, let the dough rise in the refrigerator overnight for at least twelve hours. With a spatula, arrange the dough into logs on the silpat–they won’t move much; the shape they are is the shape they will be when they are finished. (Reminds me of some of the people I know.) Put a pyrex bowl full of water into the bottom of the oven. Turn the oven to 375 degrees. Spray the outsides of the to-be-baguettes with water and smooth the exterior. Bake at least 45 minutes, sticking a knife into the center to be sure they are done. Cost: About $2.00 a baguette, but they’re huge. Each one will make two really big sandwiches. These can also be frozen in tinfoil for later use.